Checking a bag at an airport may sound great in theory – you arrive at the airport, hand off your luggage, and walk unencumbered all the way from the security line to your gate, on and off of the plane and then to baggage claim without having to worry. But, for anyone in a rush or for anyone who has had their bag lost or stolen before, forfeiting your belongings to an airport employee is a nightmare. That is why so many people choose to carry their luggage on. Whether it is a weekend away, a week’s vacation, a business trip or a pleasure cruise, many people make it work with a narrow wheelie bag or in some extreme cases, just a backpack. It may sound impossible to some, but by employing just a few useful packing trips, you too can bring absolutely all of your belongings with you. There are three important stages to packing a carry-on; finding the right bag, bringing the right items, and packing them effectively. We have tips for you at every stage and can show you a game-changing way on how to pack a carry on. So sit back, pre-plan, and never again stand alone at baggage claim, watching an empty carousel roll by and wonder where in the world your bag has gone without you. 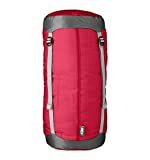 Are there luggage fees for roller bags with the airline I am flying? Am I capable of carrying my luggage, or do I need something with wheels? Does my bag need to be stylish or can I go with something purely utilitarian? Scenario #1: I am going on a business trip. My trip will be 3-4 days long. Luggage fees don’t matter since my company is picking up the tab. I am capable of carrying something, but I probably prefer wheels. My bag needs to be stylish. I am traveling with co-workers and do not want to be carrying an out-of-fashion or worn out bag. The right bag for me: an Amazon Basics Hardside Luggage in Black. Link to buy. Scenario #2: I’m visiting a friend from college for the weekend. My trip is three days long. I am flying on the cheap, and there is a fee for a carry-on roller bag. I am capable of carrying my luggage. No need to be stylish with old friends! The right bag for me: a G4Free 40L Lightweight Water Resistant Travel Backpack. Link to buy. Planning is key to this stage. While it may be tempting to bring half of your wardrobe and every magazine you have mysteriously gotten in the mail but have not read yet, packing like that will quickly run out your space. Instead, spend some time outfit planning, download books and magazines to your phone or tablet, and remember that you may have to wear items more than once. You will likely be able to purchase basic toiletry items, like a toothbrush and toothpaste, at your final destination. Bring items that can pull double-duty, like a t-shirt that can be worn for a workout or as pajamas. Here is a great lightweight shirt that you can get on Amazon. Link to buy. Try to bring your lightest, thinnest articles of clothing. A long-sleeve t-shirt will take up a lot less space than a turtleneck sweater. Roll your items, don’t fold them. This not only saves overall space but also makes individual items smaller and more manageable. You can fit a rolled-up t-shirt down the side of your backpack instead of it taking up a lot of space across. Make sure your items are well organized. This will prevent you from throwing in last-minute items that take up all of your space. Packing cubes are a great way to achieve this. Here is a great set available on Amazon. Link to buy. If you are bringing a down coat, a towel, or anything with a lot of air, save some space by taking all of that air out. Vacuum bags are a great option. Link to buy. Compression bags are also good to have. Link to buy. Use your clothing as cushioning. Don’t waste your space with padded cases or luggage dividers. Instead, use your socks, t-shirts, and scarves to keep your valuable or breakable items separated and safe. When packing a backpack, keep your heaviest items close to your person. 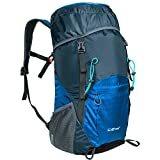 If you want to avoid a backache, pack your computer, jeans, and other bulky/heavy items against the back panel of your backpack. The further away from your body, the more your core will have to work to stay balanced. You are already lugging a backpack around an airport, no need to make it harder on yourself! So whether you are spending a weekend, a week, or an entire month away, you can do it with just a carry on bag. Hopefully, our how to pack a carry on guide helped or at least gave you some ideas. By breaking that daunting task into manageable stages and employing a plan, you can avoid checked baggage charges, long waits at baggage claim, and the risk of losing your items. Challenge yourself, you will be surprised by how easy travel can be. Oh, and when in doubt, just consult this handy-dandy little guide; “How to Pack for Any Trip” by Lonely Planet. Link to buy.